The law firm WILDE BEUGER SOLMECKE specialises in advising artists, traders of art, collectors, museums and patrons of art on all aspects of the law of art and culture. The terms art and culture are wide and an ability to comprehend the various legal aspects which they span is essential. Even in the legal world “art” can be hotly debated. How art is defined in a legal sense and when a work of art is protected can be decided only on a case-by-case basis. Therefore, it is even more important to clarify such legal questions from the start especially due to the fact that not even art is protected from the developments in technology and new media. 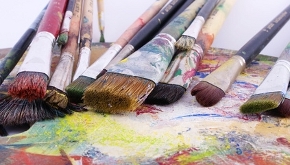 Do you have questions about a gallery’s exclusivity agreement? Or are there problems with the transport provider to a fair or an exhibition? Are you preparing for an auction or are there legal questions surrounding the inheritance of a work of art? Whether it concerns the purchase, loan, theft or return – the law of art poses many detailed legal questions when it comes to transferring property in works of art. We are happy to advise you before or even after these questions arise.